Nominations now open for the NZSL In Action Awards! 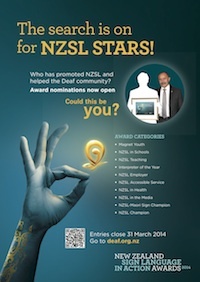 Deaf Aotearoa is looking for nominations and entries for the New Zealand Sign Language In Action Awards 2014. The awards acknowledge the significant contribution made by businesses, organisations, schools and individuals throughout the country in supporting both NZSL and the New Zealand Deaf community. A hard working person who has done good things to promote NZSL and Deaf Culture? An Interpreter who has really gone the extra mile to give greater access to education, work or other activities for Deaf people? A television programme or print publication which has promoted NZSL? You can also think about what you have done that can be celebrated? You can nominate yourself or nominate another person or organisation. For more information about each award and the rules for the awards, please see our our website. You can nominate someone by filling out our online form or by downloading a printable form. Nomination will close on Monday 31st March at 5:00pm. The winners will be announced during NZSL Week at the NZSL In Action Awards Gala Dinner on Saturday 17th May. 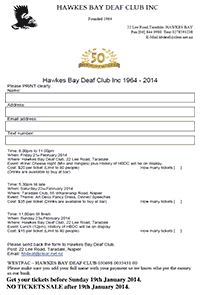 The Hawke's Bay Deaf Club have organised three special events to celebrate their 50th anniversary. Friday: Everyone will be very welcome to the Hawkes Bay Deaf Club (22 Lee Road, Taradale). There will be tickets on sale for $20.00 for the wine and cheese evening. Saturday: There will be a theme "Art Deco Fancy Dress" dinner and social night. This event will be held at the Taradale Club (55 Wharerangi Road, Napier). The cost for this will be $35.00. Sunday: There will be a farewell get together at the Hawkes Bay Deaf Club. The cost of this will be $15.00. Tickets for all three events costs $70.00. This is your last chance to buy tickets! If you want further information, please contact our secretary, Stephanie, by email at hbdeaf@clear.net.nz or text 027 859 3238. It’s important to start booking accommodation early as it is a big Art Deco weekend in Hawke's Bay and all the motels and hotels will be filling up fast. Come along and join us for the lovely Art Deco Weekend 2014. Do you have children at school? You are entitled to have an Interpreter attend with you for free. Remember to book your interpreters as soon as possible for your children's school meetings! Starting at the Town Basin by the Canopy Bridge, the festival will go through city streets and end at Cafler Park Rose Garden on Water Street. 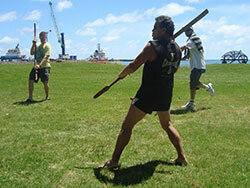 It is a unique event which has never been held before in Whangarei. 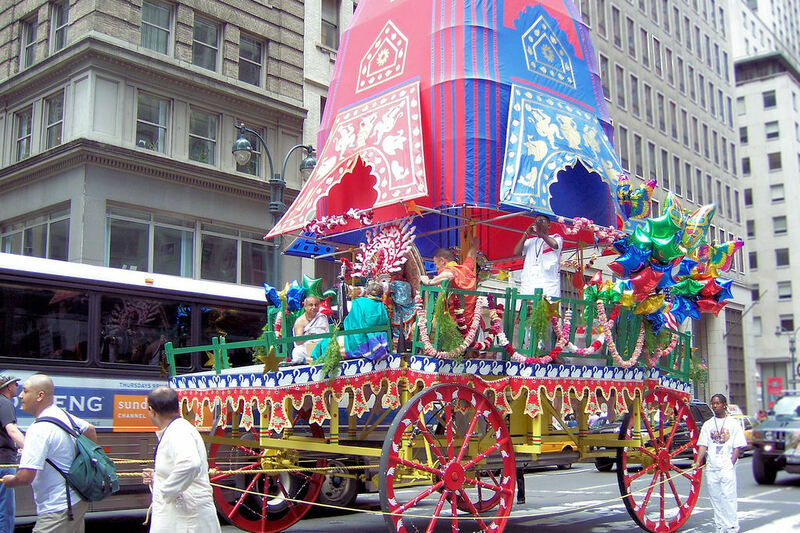 Rath Yatra is a very ancient traditional festival from India and is now seen in every major city of the world. It is a fun and colourful festival that involves a large (over 7 metres high) decorated chariot (Rath) which is pulled by ropes by the public through the main streets of town accompanied by music and dance. 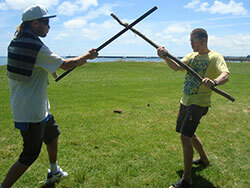 There is much spiritual and cultural significance to the festival. The festival concludes with a free lunch served in the park. It’s free and fun to watch. Just turn up somewhere where you can meet the cart. You can help pull the cart! From 18th January to 29th March. See below for what’s on each Saturday. Yes, wheelchair access and have disabled toilet! You need to know how to book an interpreter. Deaf Aotearoa do not book interpreters. Note: Whangarei interpreters will not be at the workshop. ADS Club Friday nights starts tonight! First Deaf Club night for 2014 is tonight, Friday 17th January. Come along and catch up with all of your friends after Christmas. This is a hello that sadly ends with a goodbye. My sincere thanks to all the staff, clients and interpreters I have worked with during my time at Deaf Aotearoa, you have helped me grow both personally and professionally. I want to especially thank my colleagues in the Auckland Office team Joy, Kaisy and Cheryl I have appreciated working with you as a team, will miss your support and laughter. And a special thanks to my walking and car buddy Joanne. I am moving back to the Hamilton to take up a new position at the University of Waikato as a Career Development Advisor where I will be able to use all the skills and experience I have learned over the years and hope to also complete a Masters Degree. I wish you all success for future endeavours!!!! Do you need your eyes tested? VRI is now at Visique Glen Eden! What is VRI? 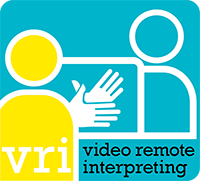 VRI is Video Remote Interpreting. It is a service that provides an interpreter that will be on the screen rather than face to face and best of all it is free. Glen Eden Visique, have VRI set up to make it easier for you to have your eye test appointments. If you want to use VRI at your appointment, just let the staff know when you book an appointment. You must book VRI with plenty of notice. Did you know kids aged 16 and under swim for free at your Local Council Pools? If you’re keen on swimming in the sun, Auckland Council’s outdoor pools are in the process of reopening for summer. 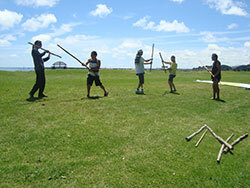 Visit www.aucklandleisure.co.nz or call 09 301 0101 for more information. The annual Kids Toy Trade Fair is back for 2014! The Toy Fair is a great way to sell old treasures and find new ones! Its a fun day out, everyone is welcome to come and take a look at what is on offer. All children are welcome to come along to trade, swap, show and sell any and all of their long loved toys with each other. Its easy, simply register and you will be given a site where you can sell or trade your toys, books, video games, clothes etc. You can bring as many items as you like, but you must have an accompanying adult on site with you. This is a great educational experience specifically for kids, so all sites must have at least one child participating. Its easy to get involved! Just get in touch with Shannon Kelly on 07 838 6817 or summergp@hcc.govt.nz and Shannon will send you a registration pack and book you a space. This is always a popular event, so register now! For more information, visit www.summeringardenplace.co.nz. Come down to Garden Place and get Soak’n'Wet with rides, water activities, games and much much more! Where? Tauranga City Airport near the Mount. A fun filled day for the family. For more information visit their website. Renewal of membership is due on Saturday 1st March. You can download the membership form to your computer. Let BOP Deaf Club know to put your name down. You can't turn up on the day without your name. Anyone from far is welcome to join! Currently residing in Inglewood, Elwin wants to move into town. 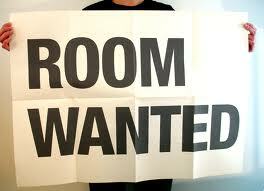 He is looking for a room in an already established house. If you can be of help please text only to 022 390 8164. 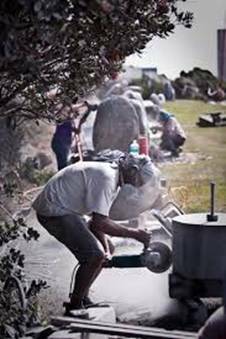 Open air stone sculpture exhibition on the New Plymouth Foreshore along the Coastal Walkway (opposite Centre City). 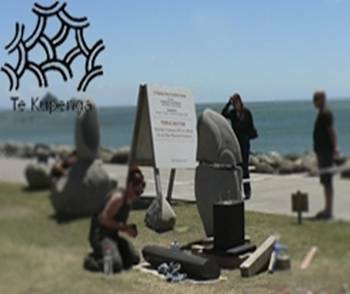 View works made during the preceding three weeks by artists participating in the Te Kupenga Biennial International Symposium. Works will be auctioned on site on Saturday 25th January at 2:00pm. Contact: Liz Bridgeman Chair, or Denise Newland Secretary, or Noel Bridgeman Treasurer. 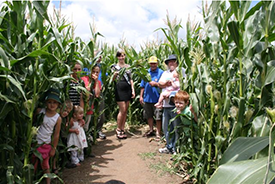 Inglewood Lions maize maze is open on weekends or by appointment. Meet: At the end of Mangorei Road, New Plymouth. Grade: It’s a good surface but quite a climb. Medium to hard. Bookings essential, please telephone 06 759 6060. You’ll need your picnic tea, water bottles as well as warm clothes and a raincoat in backpack. You’ll need comfortable walking shoes and bring a torch. 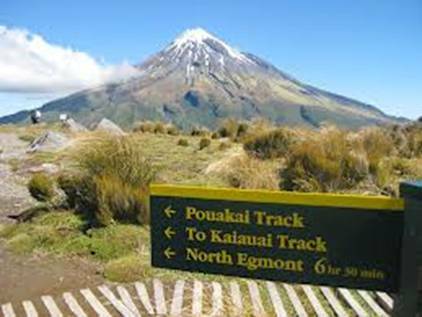 Grab the kids and build up your appetite with a walk up the boardwalk on the Mangorei Track. It’s about 2½ hours to the hut where we’ll eat and rest and admire the views before returning the same way. It’s a little easier coming down. You’ll find out about the whole circuit too, just in case you want to do that sometime. 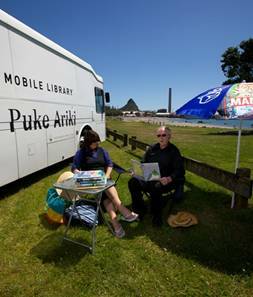 The Mobile Library is heading to the beach and other summer holiday hot spots! Check out a book, spread out your towel, and spend the afternoon reading in the sun. Don’t forget to slip, slop, slap and wrap! The Mobile Library will also be doing Summer Reading Programme check-ins. This summer giant Eskimos, Jet Planes and Pineapple Lumps are making their way across New Zealand. The iconic Pascall lollies want to sweeten up your day so take a break from the holiday rush and join them at the Candy Carnival! Play a game of Pineapple Shy, throw hoops over milk bottles, fish for Eskimos and who knows, you might even win some lollies! Open to all ages, free admission. 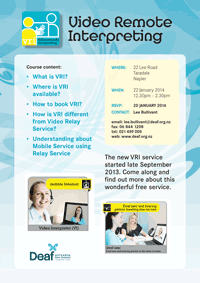 How is VRI different from Video Relay Service? If you have appointments with Work and Income, then this is important for you to know. Come along and find out more about this wonderful free service. Are you are thinking of buying a new iPad/tablet? Come along to this presentation. It will give you a better understanding of what type is best for you to buy and which one is best to meet your needs. What kind of iPad/tablet should you buy? 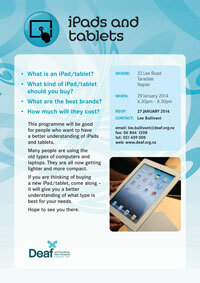 This programme will be good for people who want to have a better understanding of iPads and tablets. Many people are using the old types of computers and laptops. They are all now getting lighter and more compact. Welcome to 2014. May it be a very prosperous year for you all! Raychel McMillan, she is now Raychel Pinfold! Raychel and Andrew tied the knot on Saturday 11th January in the Rose Gardens at the Victoria Esplanade. The weather was beautiful, Raychel looked absolutely stunning and the theme of the day in purple blended beautifully! You all looked absolutely fabulous. Again, congratulations and we wish you all the best for your future. The next captioned movie screening will be "The Book Thief”. Please let your friends, families, work colleagues know, keep the numbers growing to enable that we can continue to have captioned movies coming to Palmerston North! Come along and bring your families, children and friends to the Annual Picnic. Bring your own lunch and any toys and games. Bring your own lunch/drinks. If the weather is wet, will meet at Deaf Aotearoa office as usual. Look forward to sharing stories about your Christmas and New Year experiences as well as any ideas you'll like to share with us. Captioned movie sessions until Wednesday 22nd January at Reading Cinemas Wellington and Porirua. Don’t forget to ask for your captioning handset when purchasing your tickets. To be in the know of captioned sessions, join their Facebook page. Don’t leave town for the long weekend, instead take the family to the Glenside Show for some old fashioned country fun on the grounds of the Halfway House on Glenside Reserve (behind Twiglands, 250 Middleton Road) will host a country-style fair. There will be free family entertainment including live music, ponies, a magician and games. There will also be stalls and food and drink available if you run out of time to pack a picnic. There is no gate charge. If you are creative, you can enter one of 21 homecraft categories in the show competition, or enter your pet in the Pet Parade ($2). An auction of donated competition entries is on at 3pm with proceeds to the Glenside Progressive Association, and the Wellington Boot Toss is on at 3.30pm (gold-coin entry). There are lots of ribbons and great prizes to be won for produce, preserves, baking, floral arrangement and crafts. For more details and entry forms, see Glenside Progressive Association. Zumba classes starts again on Friday 17th January at 10.30am. We are now starting back this New Year on our social meetings at the Suburban Club once a fortnight. So all people are welcome, we look forward to seeing you there. 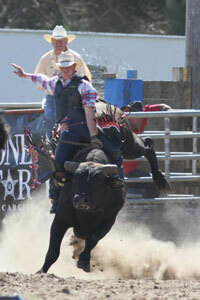 The show will include horses, cattle, sheep, poultry, goats. Large booth with extensive photography competitions. Good prizes in all sections. Many and varied trade stands. Entertainment throughout the day. Shearing, wood chopping. For further information email goldenbayshow@gmail.com. Top kite fliers from New Zealand and some from overseas, bring their flyable art to do the best kite flying in New Zealand. Food, drink stalls, face painting, buddy rides. Great family fun, gold coin donation. The Mapua summer Market is a show case of handmade goods, all individual and unique. Lifeline Nelson offers free Face to Face counselling. Up to 10 FREE Face to Face counselling sessions with a Lifeline Counsellor. Identify and explore new ways to move forward. 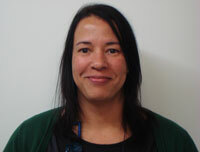 Your Community Relations Officer, Victoria Walters, will be away on annual leave from Monday 20th to Friday 31st January. If you wish to contact one of the staff, please text, fax or email directly to them. The office will be open if you wish to visit the office. English Language Partners provide language and social support to adult refugees and migrants. They are advertising for a person to teach NZSL and literacy to deaf adult ESOL preliterate learners from refugee backgrounds. This work will be part time during February to December 2014 in school terms only. Applications close at 5:00pm on Monday 20th January and should be addressed to: English Language Partners NZ, 69 Moorhouse Ave, Christchurch 8011. 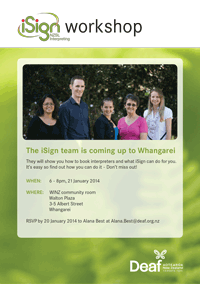 Have you ever wanted to learn New Zealand Sign Language but were not sure where to start or what it is all about? 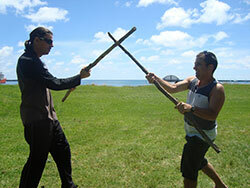 Why not try a free taster class with our NZSL tutor, Dennis Tod! Please enrol through the Risingholme office prior to the start of the course – this allow us prepare for your arrival. For more information visit Risingholme Community Centre's website. If wet, this event will be postponed until 26th January. Bring kids, picnic, blanket, sun cream, hat and togs for the kids. 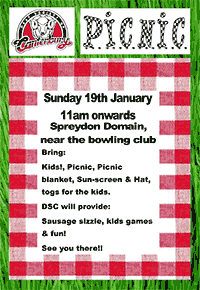 Deaf Society of Canterbury will provide sausage sizzle, kids games and fun! 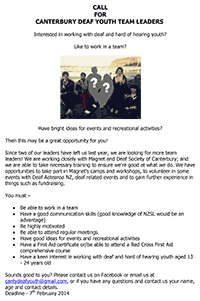 Canterbury Deaf Youth are looking for new youth leaders, please see the flyer (on the right) for more information. The Canterbury Deaf Youth committee would like your feedback about the events they organised in 2013. They would appreciate it if you could fill out their survey. Anyone is welcome to fill out the survey, including deaf, hard of hearing youths, parents and residential staff, etc. They will use the feedback to decide what changes and/or improvements they need to make for 2014. You can fill out their survey online. There is also a NZSL video explaining the survey and its questions. SCIRT World Buskers Festival is celebrating its 21st birthday this week. The festival is offering 11 days of excitement, 660 performances and all the side splitting laughter you can take. Do not miss your opportunity to attend the festival. 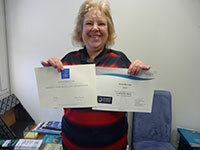 Caroline graduated in December with the Certificate in Human Services and the National Certificate in Social Services from Otago Polytechnic. Well done Caroline! Come and see working displays of machinery, dog trials, equestrian events, livestock displays and much more. We hope you all had a nice Christmas holiday. Welcome back for an exciting 2014! Please, if you or anyone you know is interested in teaching a few taster classes throughout NZSL Week, could you please let Rebecca know. We really need more tutors. Training will be provided. Visit us at DRC Building, 192 Spey Street, Invercargill or text us on 021 554 905. 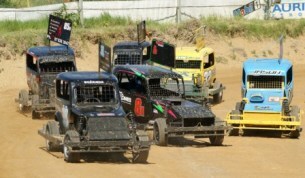 New Zealand's most exciting and thrilling sport. Don't miss this one time event this year. Start training for the Surf to City. You can run, you can walk, you can bike! 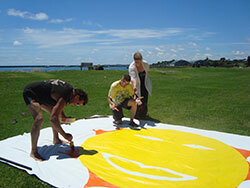 The festival hits the streets and parks of Invercargill from Thursday evening .